The Botany Kip McGrath Education Centre provides a positive and supportive learning environment for students from Year 1 to Year 13. We know that every child is unique and not student thrives at school. Some experience difficulty in keeping up with the work and their peers. We have a fantastic group of teachers that have your child’s interest at heart and help them reach their full potential in Maths, English, Physics and Chemistry. Our friendly staff and atmosphere promotes self-esteem, boosts every child’s confidence, and help them achieve their personal best. We do offer a FREE assessment that will help us determine your child’s strengths and areas of weakness. 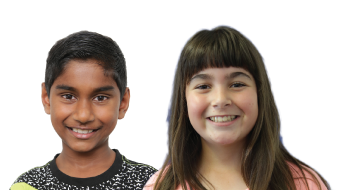 Whether your child is performing below, at or above National Standards, we can develop a special program to suit your child’s needs and extend them in their learning. Finally all our staff have high expectations mentors your child through their learning.